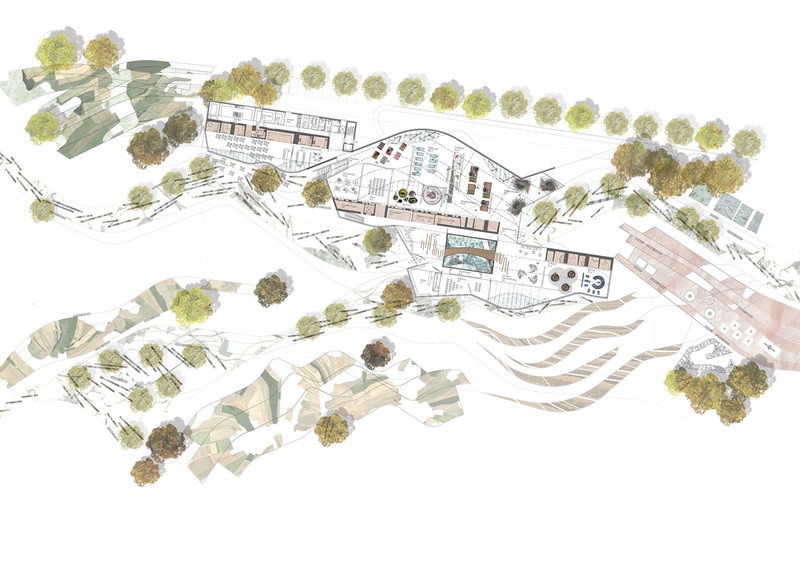 The winning design for the biodiversity centre Artenoah, will be built in the middle of a series of highlands. 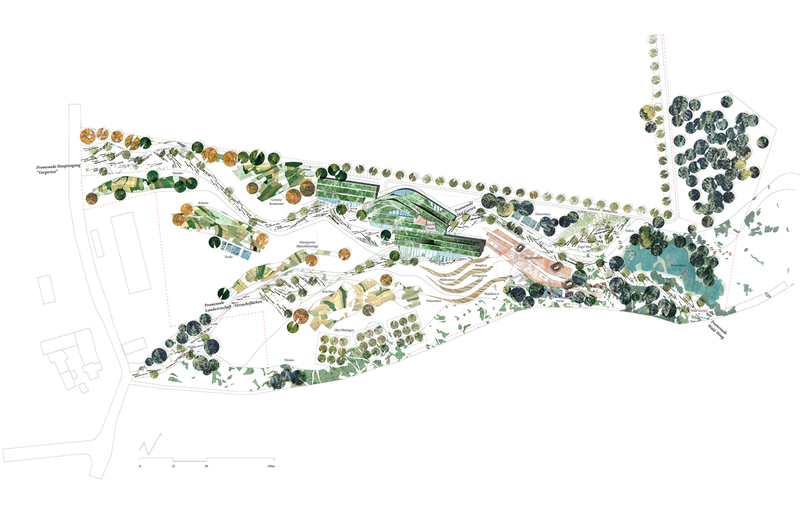 The landscape is defined by dense forests, small urbanizations, agriculture and pasture areas. On a site visit, we watched the birds directed by group intelligence, collecting a flock and overflowing the plateau of the site. 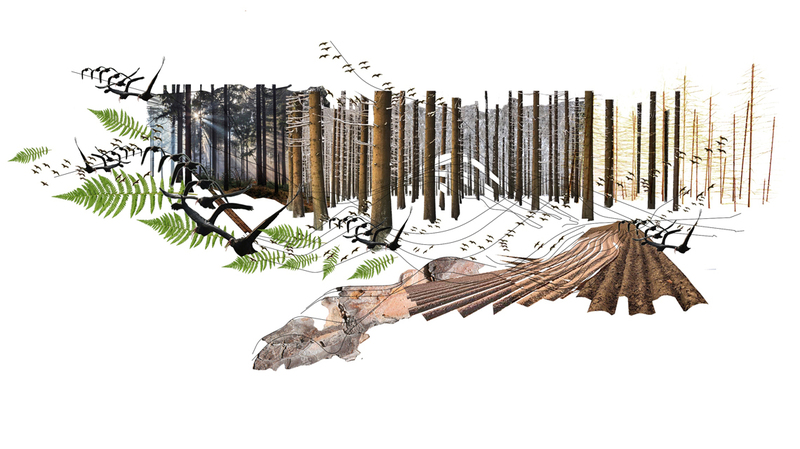 We projected the lines of the birds’ movements on the agricultural site of the Wagnersberg and redrew them in our proposal. 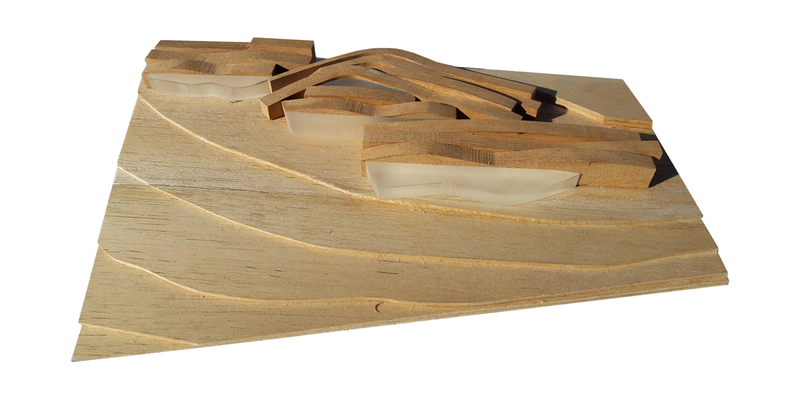 Starting with these lines we developed a complete concept of a building with outdoor spaces and achieve a complete integration into the landscape. After climbing up the hill, you will first meet the restaurant with the famous Franconian food, which offers views to the nature park Fichtelgebirge from its terrace. From the foyer of the building, you will enter the exhibition area by crossing a kaleidoscope, introducing the visitors into a world of biodiversity. 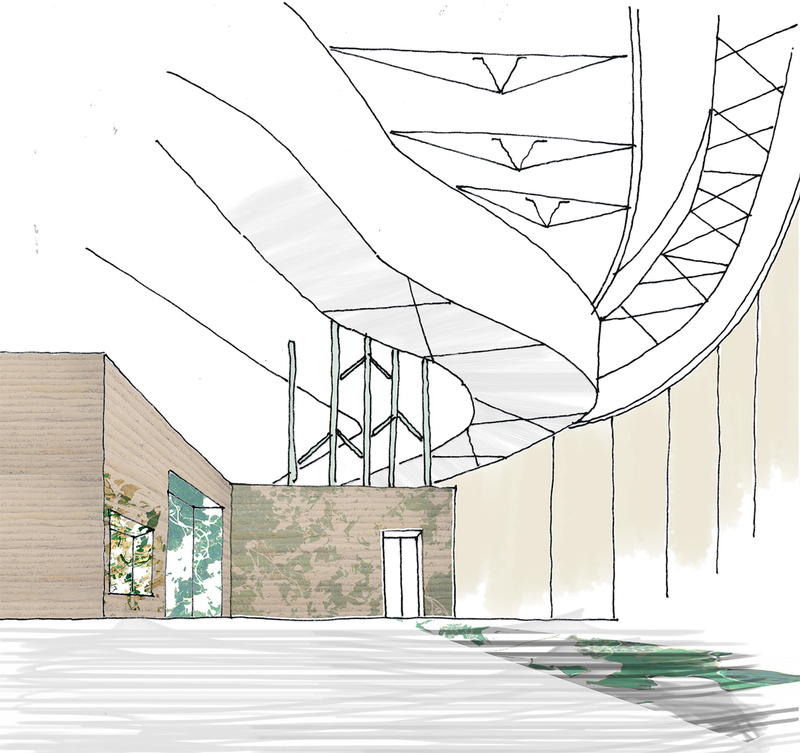 The building follows an ecological concept, which will be part of the exhibition. The building volume is compact, orientated to the south and follows the 2000-year-old scheme of the ‘sun house’ by Socrates. A green roof integrates the building in the landscape and invites the visitors to climb up and discover the sculptural approach of the building. The goal of our project is to focus on the biological diversity and to bring it together with the socio-cultural values. This point brings us back to the initial concept, the group intelligence in different habitats, which we found by observing the birds flow over the plateau.